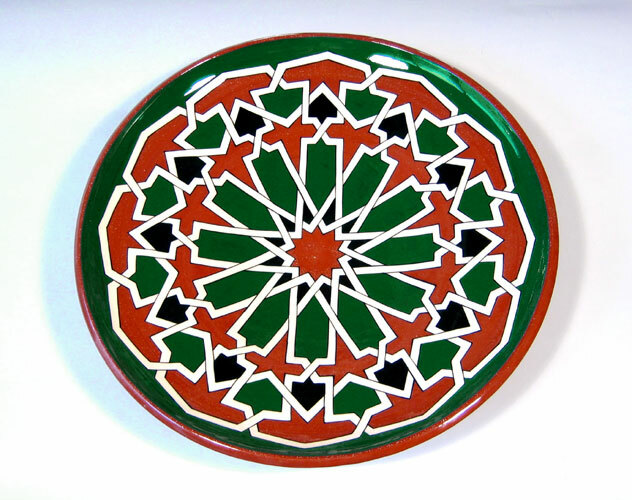 This is one of two platter designs that are not my own creations. I found this pattern in Prisse D'Avennes wonderful 19th century collection of prints made shortly after Napoleon invaded Egypt. A semi-circle of this pattern was done as a floor mosaic in the 16th century, although the exact location is not specified.